The American bands Year of the Cobra, Silence in the Snow, and Crowhurst will release their new albums in 2018-2019 via the independent label Prophecy Productions. The stoner doom duo Year of the Cobra, featuring Amy Tung Barrysmith (vocals/ bass) and Jon Barrysmith (drums), will present their second full-length album in 2019. The band has already released one EP and one LP "...in the Shadows Below", produced by Billy Anderson (Neurosis, Sleep). Following their sophomore EP "Burn Your Dead", they had tours of Europe and the US, playing a number of well-known festivals along the way, including Psycho Las Vegas, Freak Valley Festival, and Stoned Meadow of Doom. Currently, Year of the Cobra are working on the material for the new album together with the legendary engineer/producer Jack Endino (Nirvana, Tad, Soundgarden), and are confirmed to play the inaugural Prophecy Fest USA, taking place this November at Brooklyn's Knitting Factory. 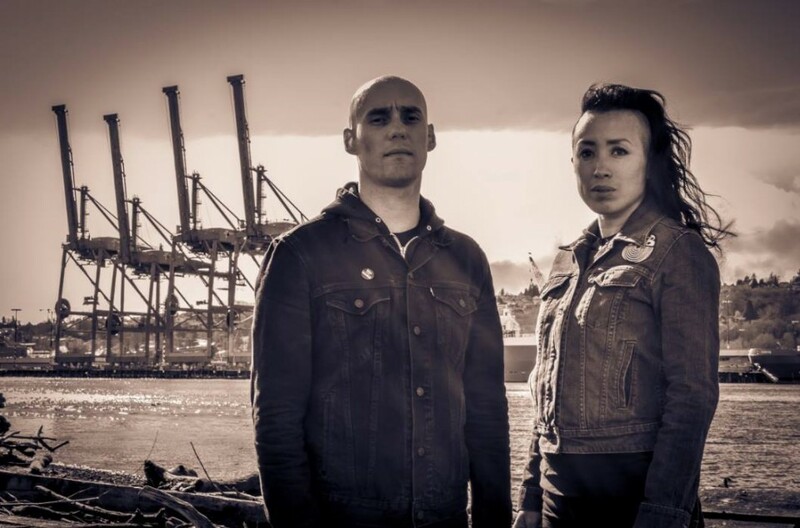 A post-punk duo from Oakland, California, Silence in the Snow, consisting of guitarist/vocalist Cyn M., and drummer Trevor DeSchryver (Wolves in the Throne Room, Lycus, Dispirit, ex-Deafheaven) also signed a contract with the US division of Prophecy Productions. Silence in the Snow’s debut album "Break In The Skin" was released in 2016 and now the band has started work on a new record "Levitation" at Atomic Garden Studios together with producer Jack Shirley (WITTR, Deafheaven, Bosse-de-Nage). Release date TBA. This November, the noise/black metal project Crowhurst of the American musician Jay Gambit is going to release its full-length album "III", which will finalize the trilogy, including previously released 2015’s "I" and 2016’s "II". "III" is to be recorded with legendary producer & engineer Kurt Ballou (Converge, Full Of Hell) at God City Studios later this year, and will be Crowhurst’s Prophecy Productions debut. The effort features guest appearances from Tony Wakeford (Sol Invictus, Death In June), Ethan Lee McCarthy (Primitive Man), and Tara Vanflower (Lycia, Type O Negative) amongst a handful of other notables.